One of the confusing things about tenancy agreements is that sometimes the clauses in it will be unenforceable. The reason for this is some regulations called The Unfair Terms in Consumer Contracts Regulations 1999. These come from Europe and similar regulations apply in all EU Countries. They are regulations designed to prevent large companies from taking advantage of their position when dealing with consumers and provide that clauses which do not meet the test of fairness will be unenforceable. Several cases have confirmed that they apply to tenancy agreements. Which means that amending tenancy agreements may be counter productive, if the amendment can be considered ‘unfair’. For example under the common law, tenants with a monthly periodic tenancy can end this on a one month notice to quit. So any clause saying that they must give two months notice will be void. The problem with this requirement is that you need to have a very good knowledge of what tenants rights are in the first place to be sure that you are not breaching them by your amendments! Which is why amateur amendments to tenancy agreements can be so dangerous. Examples include prohibiting all guests and excessive cleaning requirements. So you can limit guests but you cannot prevent tenants having any guests staying at all. You can require that a property be kept clean but cannot require that tenants wipe down kitchen surfaces daily. The permission request wording must also say that permission must not be unreasonably refused or delayed. So a blanket prohibition against pets will be unfair and unenforceable. You must put in the wording or the clause will be unfair and the tenant will be able to keep the pet. Landlords often fall foul of this by removing the wording in ignorance of the rules. Whereas in fact, provided you refuse permission for a reasonable reason, this will be unchallengeable. Allowing tenants to request permission does not mean permission has GOT to be granted if they ask. Note by the way that it will not be unfair to prohibit something which is already against the law, such as keeping unlicensed guns or dealing with prohibited drugs. Or something which can be the basis of an eviction claim under the law, such as anti-social behaviour. These are just three of the unfair clauses rules. There are others. The Unfair Terms in Consumer Contracts Regulations used to be enforced by the Office of Fair Trading – a famous case back in 2010 was the Foxtons litigation. The OFT was however closed a while back and its functions have been taken over by the Competitions and Markets Authority (CMA). The regulations can also be enforced by Judges who must consider them when considering a claim based on a tenancy agreement clause, whether or not the parties refer to this in their submissions (see this case). 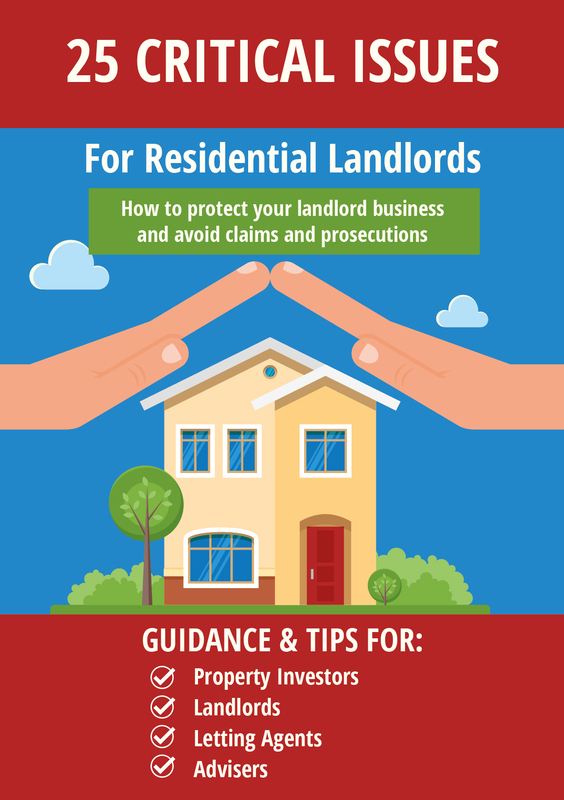 So landlords – think twice before amending tenancy agreements – for example the agreement that your agent provided for you or which you purchased from a law stationers. You may find that your amendments have the very opposite effect to what you intend! Tessa whats your take on common additional clauses I see regularly on no smoking? Smoking in the common areas of properties is already illegal. I don’t think that a prohibition of smoking in the rest of the property would be considered unfair in view of the health issues involved, particuarly if the property is to be lived in by children. However I suppose to be totally safe a prohibition should include the wording providing for permission to be requested. The law is on the side of Landlords for the smoking issue, Ben, however enforceability not so much! Can you imagine a DJ Ordering possession under Ground 12 for breach of terms because the tenant has the odd crafty fag with their morning coffee?! Of course, I’m being facetious but with just under 1 in 5 in the UK classifying themselves as a smoker, that’s a lot of tenants moving marlboroughs into rental accommodation alongside their pots and pans. Most ASTs I see specify that smoking is not permitted unless permission in writing is given and on the provision that a professional cleaning company is instructed at the end of the tenancy at the tenant’s cost. If they abscond, or if possession is given via the courts, such a cost to be deductible from the deposit. Tessa to be clear the one month notice right provision only applies to statutory periodic tenancies, which is all s5 of the 1988 act applies to. @Laura and Tessa, I find this an interesting legal conundrum, as well as a personal one, being a non smoker who can smell a cigarette from 100 yards away, when it was smoked 9 months ago. I get grounds 13 and 15 but would it still stand up against ground 12? In terms of is it reasonable to expect a tenant not to smoke? Or is it a breach of a tenant’s right to use the property in a tenant like manner? I have smoking friends who get very angry at restrictions on this. For my part my argument is that although I drink it doesnt require others to drink with me, whereas if my flat mate smokes, I have too as well. Sorry, my question then is this, is a no smoking clause an interference in my entitlement to use the property in a tenant-like manner, regardless of the possibility that the smoke damage might breach one of the other grounds for eviction? Therefore, is it an unenforceable term under ground 12? Are there questions of degree? Obviously excessive smoking will make the house reek, but what if, like me you are hypersensitive to it anyway? I thought that the common law position could be changed by contract. E.g. for notice periods my understanding is that there is nothing invalid in agreeing that notice must be 2 months in a monthly periodic tenancy. @IO The Unfair Terms in Consumer Contracts Regulations are not confined to Housing Act 1988 tenancies (or indeed tenancies). 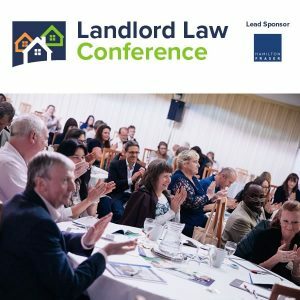 The tenants notice provision is a common law rule so, so why do you say it only applies to statutory periodic tenancies? @Romain The Unfair Terms in Consumer Contracts Regulations apply to pre-drafted agreements where there is no real bargaining going on. If the tenant genuinely agrees to the 2 months and you are able to show that this was a negotiated clause and not a pre-drafted one that he just accepted as is, then it may be enforceable. However even so, I suspect that some Judges may be hostile to longer notice periods anyway. So far as I am aware there is no case law on it. I don’t understand what the UTCCR 1999 suddenly have to do with notice periods. A clause regarding notices for determination are ineffective (not void!) during a statutory periodic AST indeed because the Housing Act says so, as IO rightly said, so indeed Common Law, and only Common Law applies in that case. In other cases, such clause apply and take precedence. The UTCCR 1999 says that an individually negotiated clause is excluded from the unfair terms regulations. But that does not mean that other clauses are automatically unfair. A landlord would do well to draw the tenant’s attention to the clause ( (e.g. bold with signature) to avoid issues. If the clause stated that the tenant had to give an excessive notice then it would be probably unfair, though. Notice to Quit are not effective for AST’s when served by landlords, but they CAN be served by TENANTS. My comments in the post were on tenant notices to quit. If the landlord tries to include a clause forcing the tenant to give a longer NTQ notice period than the notice he would give under the common law, this is likely to be found unfair UNLESS you can show that it was a proper negotiated clause. I can’t, I have to say, think of any circumstances where this is likely to happen AND be accepted by Judge (eg in a claim for rent in lieu of notice). Yes, it is understood that this is about NTQ by tenants and I had that in mind in my previous comment. It is far from obvious to me that a 2 months notice would automatically be unfair, especially if, as said, the landlord can show that the tenant was well aware of that term when agreeing to the tenancy. In fact, I don’t really see how that would be unfair at all under the UTCCR 1999. Things may be different if the required notice was much longer. Surely negotiated clauses would be on a benefit / cost ratio. For example tenant must give 2 months notice to leave, however they get a reduced rent in last two months to compensate for viewings. This would seem to be a properly negotiated clause. Just saying 2 months notice, whether highlighted or not, may not be fair if the tenant only sees the agreement on the day of getting the keys. Another way to avoid this would be to offer the tenancy agreement blank (ie no names, with draft through it) to the tenant in advance so that these clauses are properly negotiated. And of course we have all the relevant Housing Acts – tenancy agreements can’t take away your rights that exist in law. I laugh at some of the terms in tenancy agreements. Uninformed landlords and agents who haven’t even read the law just off on power trips, frankly; bullying tenants into submission and creating anxiety in the name of profit. Thankfully Scot Gov is talking about a new model tenancy agreement, to try and stop this abuse (any additional clauses wd go in the annex I think, and be clear to see/scrutinise). Given the costs and unpredictable judges, why would a landlord consider anything other then a S21 unless their is a lot of unpaid rent? @Ian you are probably right on S21 but doesnt that argument play into the hands of people arguing that you can be evicted by a landlord for the slightest thing? 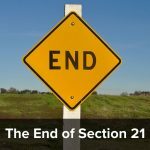 And that therefore S21 is not a good thing for tenant security and the sustainment of communities? But I’m thinking legal stuff here. What takes precedence? a person’s right to smoke or my hyperalegecic reaction to it? What about a long fixed term AST, where each side has a break option on 2 months notice? So why is that not the norm? Are you going to do this now for YOUR properties? If not – then thats why. I would like this to be a legal requirement, when we were tenants, agents expected us to pay for all the referencing etc before they would even let us see the tenancy agreement. They did not like it when we insisted on seeing a copy before we decided about a property. That’s another issue, poor practice, and can (legally) backfire on the landlord.